Overall comment: I love the variety offered & the freshness of the ingredients used. 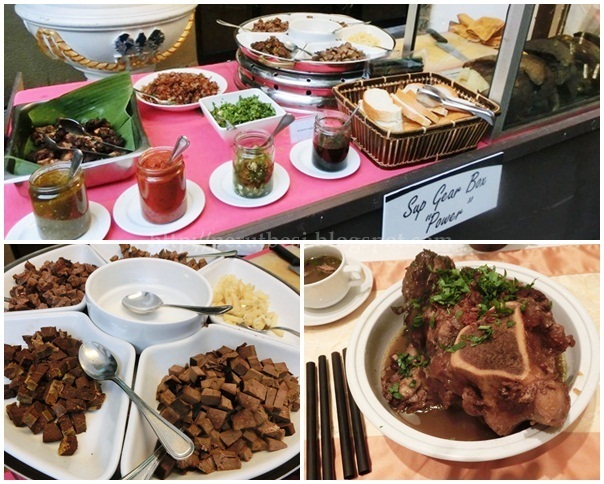 It's not overly priced as well & the most important thing is that...the food tastes good! The Seri Pacific Hotel Kuala Lumpur will be offering the “Citarasa Kampung” Buffet in conjunction with the Ramadhan Buka Puasa. 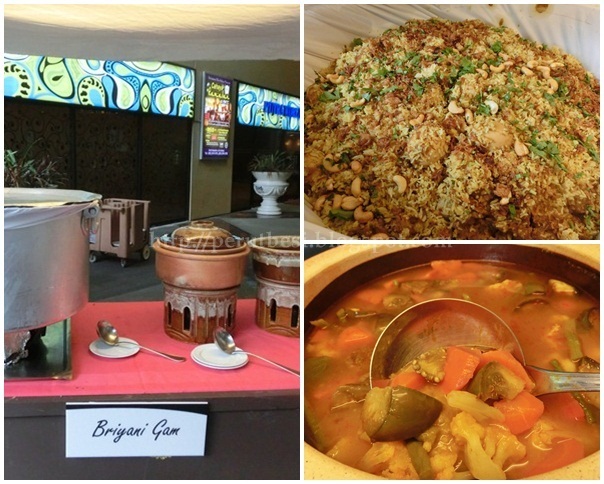 The buffet aims to be one of the finest & biggest buffet spreads in town, providing a comfortable & convenient dining experience during the fasting month. 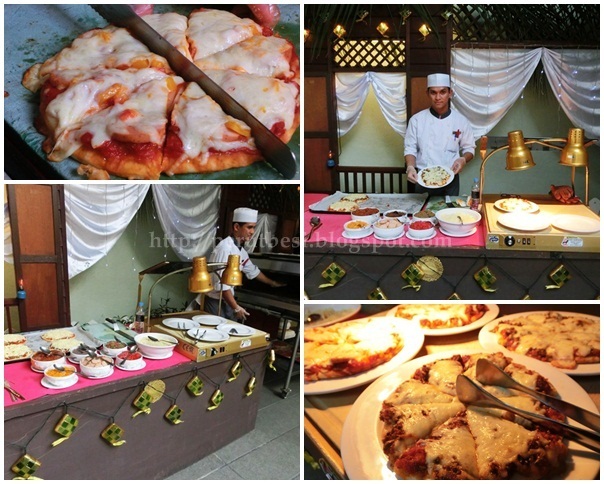 Priced from RM80.00nett per adult, the buffet will be served from 14th July 2013 – 3rd August 2013 at the Pacific Ballroom. 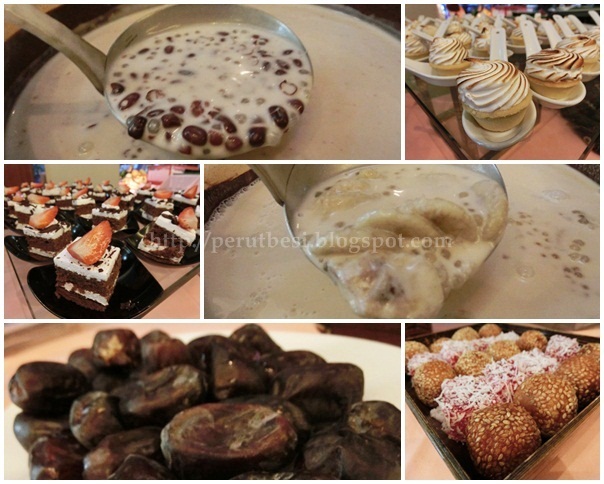 Every RM1.00 from each Ramadan Buffet "ticket" sold will be contributed to the Tabung Kebajikan Islamic Aid Malaysia (IAM) and Majlis Kanser Nasional (MAKNA) under Seri Pacific Hotel's “Sentuhan Kasih Ramadhan” program. 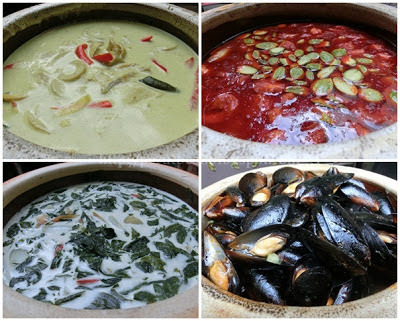 I don't think mussels are part of the traditional, but the rest are certainly traditional dishes :) Perut Lembu Masak Lemak Rebung (Beef Tripe & Bamboo Shoots in Coconut Milk), Sambal Udang Petai (Spicy Petai/"Smelly Beans" with Prawns), Stir-Fried Mussels with Chili, & Pucuk Ubi Rebus Lemak (Sweet Potato Shoots in Coconut Milk). 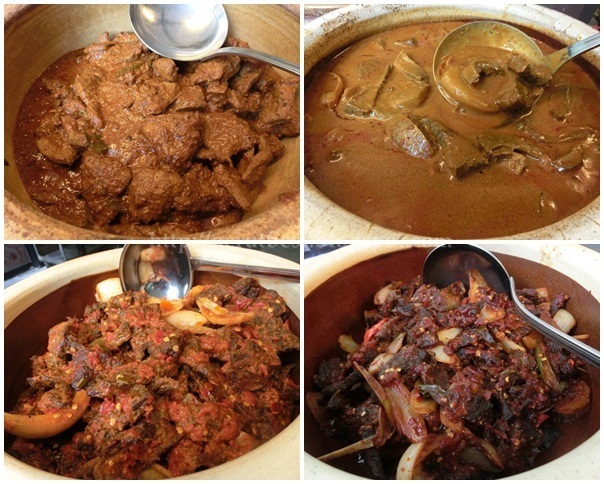 The lamb is the best among all the other meat dishes! Clockwise from top right: Lauk Limpa Kari (Spleen), Paru Dendeng (Lungs), Daging Dendeng (Beef), Beef Rendang. This is the Malay-style of fried kuey teow, which is very different from the Chinese Penang-style fried kuey teow. It is more "wet" or with some gravy, which can be quite tasty if it is not overly flooded with gravy. According to VC, this kuey teow goreng basah is very nice! It's basically rice rolls with serunding (spicy beef floss) or sambal ikan bilis (spicy anchovies)! Quite interesting although it's not one of my favourites. No idea why they call it "Fatty Corner" when they got a skinny chef to mend that stall! :D I think it's inspired by the Fatty's Lok-Lok truck that has become very famous in town. 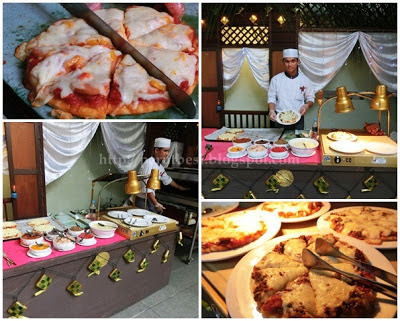 Similar to the sushi stall, the pizzas here come with sambal ikan bilis, serunding, & other Ramadhan favourites. 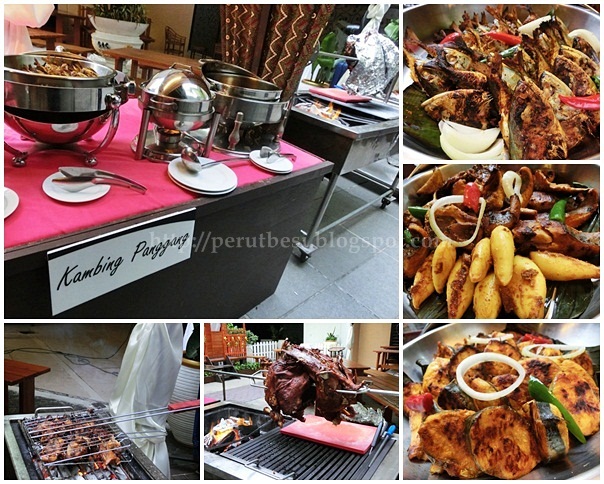 Some of the highlights of the buffet are the Sup Gear Box “Power”, Sup Ekor Bakar, Roasted Marinated Whole Lamb, Kari Kepala Ikan, Ikan Bakar and Lok-Lok. My favourite was none other than the roasted marinated whole lamb! The meat was tender, juicy, & nicely marinated. Paired with the black pepper sauce, it was just an experience not to be missed! For those who would like to begin their breaking fast with something healthier, there's a good variety of fresh ulam-ulam kampung & salads as well. At every good buffet, the dessert section is certainly something to look forward to. You'll find the much-loved Bubur Lambuk, Air Batu Campur (ABC - shaved ice with several types of sweet ingredients like red beans, grass jelly, sweet corn & syrup), an assortment of pastries, local Malay "kuih", & local seasonal fruits, including the all-time-favourite Durian (for those who love it)! 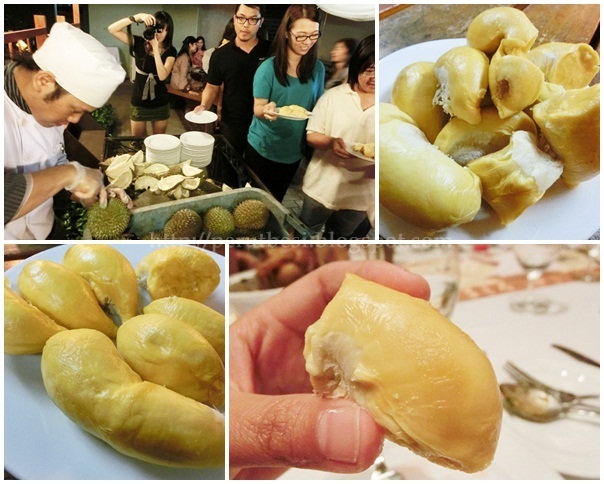 My favourite of the night: Durians!! The list is never-ending! Thirst-quenchers of all sorts will also be available at the buffet spread such as Air Kelapa (coconut water), Sirap Bandung (sweet rose syrup with evaporated milk), Nescafe Tarik ("pulled' Nescafe coffee) and Teh Tarik ("pulled" milk tea) at the “Latar Kijang Beverage Station”. 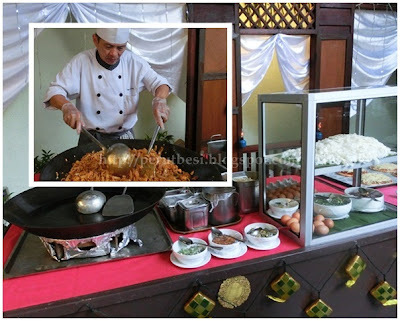 If you think that's all, I'm sorry to say that you're wrong this time around :P To further enhance your dining experience with the Ramadhan buffet, all guests will also be serenaded by live musicians known as 'Los Labamba’, a 4-piece band all the way from Indonesia. Fantastic, right? Have a meaningful fasting month ahead! @HenRy LeE: VERY RARE! But it's free-flow/buffet! And they have it outside, so the place won't stink of durians for those who dislike it :D It's SOOOO worth it!